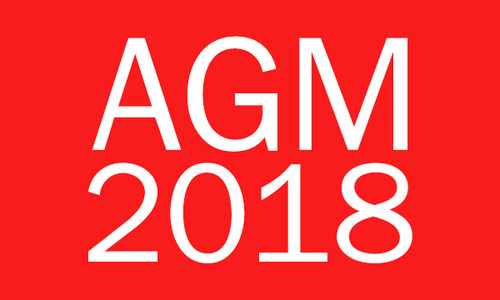 This post is to inform you of the Shots’ Trust 2018 election procedures and to invite members to submit motions for consideration by the Trust Board for inclusion in the agenda for the 2018 Supporters’ Trust Annual General Meeting, scheduled for Thursday, 27 September 2018 commencing at 7.30pm in the EBB Lounge at Aldershot Town FC. The Shots’ Trust is managed on behalf of you, its members, by a voluntary Trust Board. In accordance with the rules, one third of the Trust Board are required to resign each year at the AGM and they have the option to stand for re-election. This year, Mick Lee and Robin Carder will resign at the AGM. They have indicated their intention to stand for re-election. In your application, please indicate the skills that you have and your willingness to commit the amount of time required to fulfil your responsibilities as a Trust Board Director. Your statement should be between 150 and 300 words in length. Please also include your name, address, contact telephone number and the name of two current members of the Trust who are happy to propose and second your nomination. Please note that all nominees, proposers and seconders must have up-to-date paid Trust membership and be over 18 years old as at 6 September 2018 – the deadline for nominations to be received. If 3 or less applications are received, all candidates will become Directors as a contested election will not be required. If, however, more than 3 applications are received there will be a contested election and therefore all members will be sent voting papers listing the candidates together with the information candidates have given to support their application. The deadline for receipt of completed voting papers for those voting by post will be Thursday, 20 September 2018. Alternatively, members can attend the AGM in person and vote on the night or vote by proxy. Members who have voted by post will be able to attend the AGM but will not be able to vote again on the night. All members with up-to-date paid Trust membership will be eligible to vote, subject to the aforementioned age restrictions. The election process will be overseen by an independent scrutineer. The new Board of the Shots’ Trust will be announced to members at the AGM. Members are invited to submit their own motions. The Trust Board will consider the validity of each motion (i.e. whether they are consistent with the Trust’s rules, policies and objectives) and if a majority of the Board approve they will be included in the AGM agenda. Members should submit motions for consideration by 6 September 2018 to the address shown above or email to info@shotstrust.co.uk. Formal notice of the 2018 the Shots Trust AGM together with an agenda will be sent to members as soon as possible after 6 September 2018.